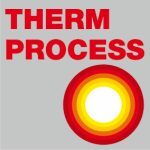 PROCESS: The CuproBraze® process is a brazing process speciﬁcally developed for the manufacturing of automotive and heavy-duty industrial heat exchangers. By using high strength copper alloys it is possible to manufacture light, strong, efﬁcient and compact heat exchangers at a low cost with this environmentally friendly, lead-free process. 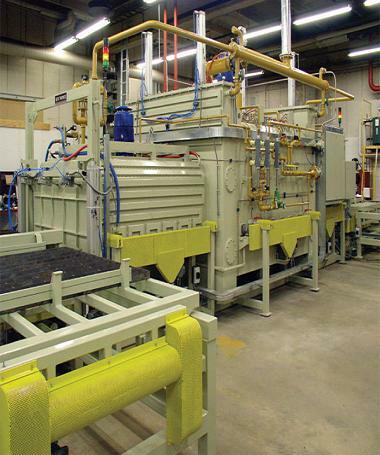 The brazing of CuproBraze® radiators uses a non-toxic low temperature melting alloy that works well in a nitrogen based controlled atmosphere furnace. The brazing material is lead free and there is no post-braze treatment required, such as rinsing. Binders and braze alloys can be applied to the tubes, ﬁn tips or headers by spraying, brushing or rolling. After brazing, the brazed copper-brass joints are signiﬁcantly stronger than the solder metal and do not suffer from galvanic corrosion. Developed for this process, anneal resistant header, fin and tube materials assure the strength of the products. STANDARD FURNACES: SECO/WARWICK can provide either a two or three chamber CuproBraze@ Fumace System. The two chamber pictured to the left is a front-loading furnace with a pur ging/ cooling vestibule and a convection heating chamber. The furnace is a compact design With an internal recirculation fan and cooling blower that uses minimal tloor space (8mx8m). The heating system consists of a high pressure, high velocity recirculation fan passing the heated atmosphere over heating elements to provide optimum flow of nitrogen through the workload to obtain the tight temperature unifonnity required for this process. At the operating temperatures of the furnace, convection heating is the quickest way of transferring heat to the workload. 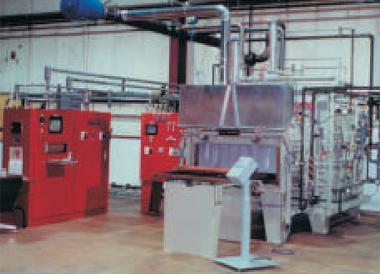 CONTINUOUS FURNACE SYSTEMS: SECO/WARWICK has developed a large volume, continuous operating CuproBraze® furnace line. 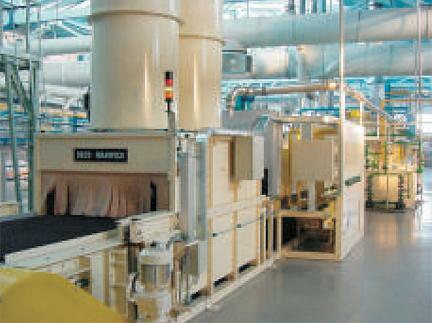 The system consists of a Convection Brazing Fumace, Water Jacketed Cooling Chamber Assembly, Air Blast Station and ACCUBRAZE® PLC Computer Control System. 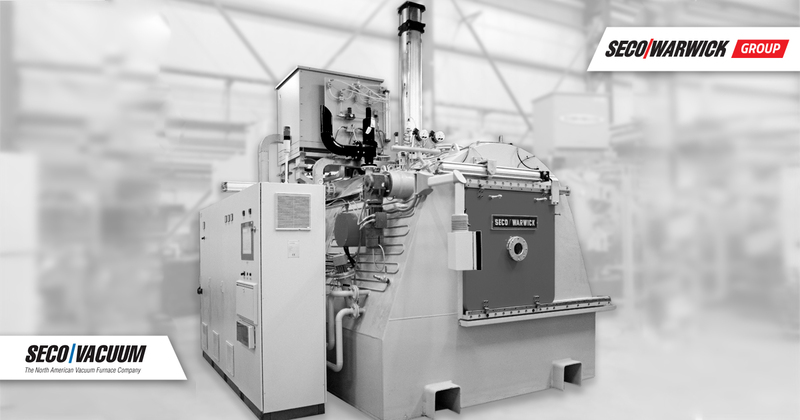 The heart of the system, the Convection Brazing Furnace, is split into multiple conrtrol zones. Each zone is equipped with direct fired, high velocity burners that are mounted horizontally above and below the muffle, and a variable speed fan. The SECO/WARWICK design allows continuous brazing of various sized loads and is speciﬁcally recommended for diversiﬁed production. CONTROLS: A PLC based control system is responsible for temperature control, sequencing and logic required for the system with the option of adding SECO/WARWICK`s ACCUBRAZE® computer controls to enhance the interfacing between the operator and the PLC.